Though these children became the princes of the kingdom, being servants to Lord Vishnu in their earlier birth, were still devoted to Sri Narayana. For prosperity of the kingdom they did big yagams to Maha Vishnu. Pleased with their devotion, Maha Vishnu appeared here as Vaikunta Perumal here. This sthalam also emphasise the unity between Vaishnavam and Saivam. 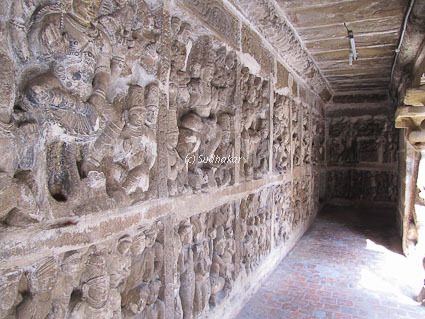 Veerochana king worshipped Lord shiva for the child, but it was the Vishnu Bhakthas who were born to him as children. The vimaanam ( tower) is called as Mukuntha vimaanam.The temple sanctum is in three levels. This is a speciality of the temple. In the first level perumal is seen in a sitting position as Paramapadha Nathan, in the second level he is in lying position ( sayana kolam) with Sri Devi and Bhoo Devi, in the third level in a standing posture. 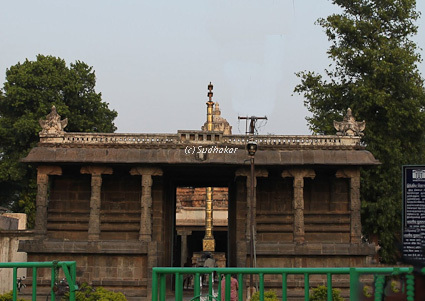 The temple dates back to 1300 years and is beautifully constructed by Parameshwara Varman (Vaiyiramegan), son of Raja Simha Pallavan. 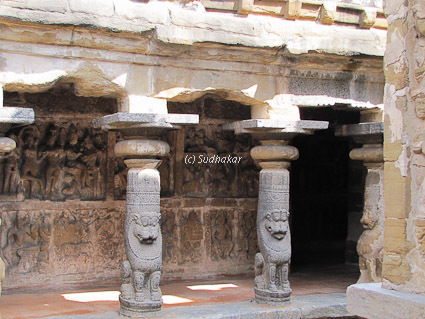 Stand stones were used and the sculptures we see in the pillars in the praharam (corridors) are breath taking. 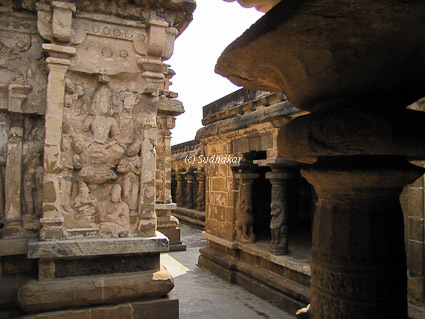 This temple is now being maintained by the Archeology Survey of India. The Moolavar of this sthalam is Sri Paramabadha Nathan also called as Vaikunthanathan. Moolavar is in sitting position facing West . Prathyaksham for Pallava king. Thayar of this sthalam is Vaikunthavalli thayar. Temple location It is situated in Kanchipuram near the bus station.